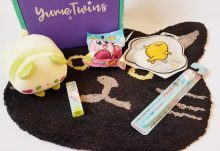 January 2019 has definitely felt like the longest month in living memory, so when the latest Boxcitement box arrived last week it really brightened my day. I had wondered what the theme might be this month, and was dreading a ‘New Year New You’ kind of affair. 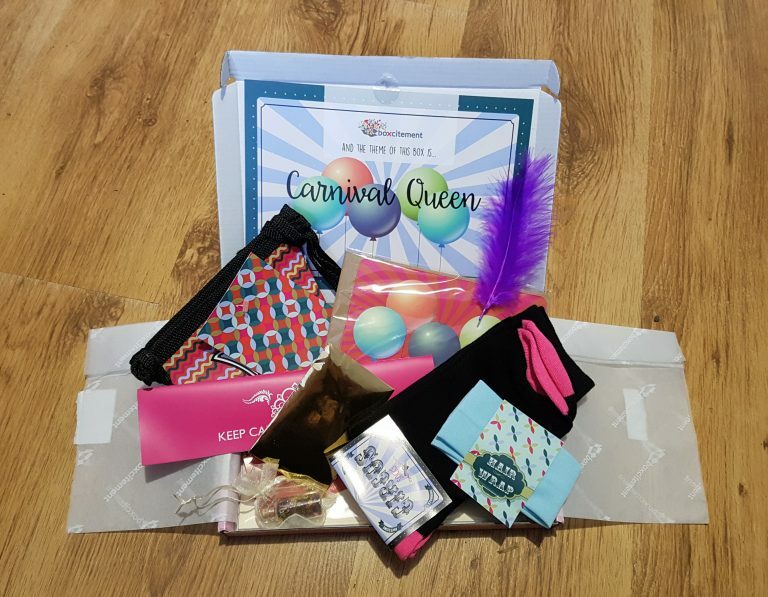 However Deb and the team chose something completely different and it really worked to lift my spirits: Carnival Queen! 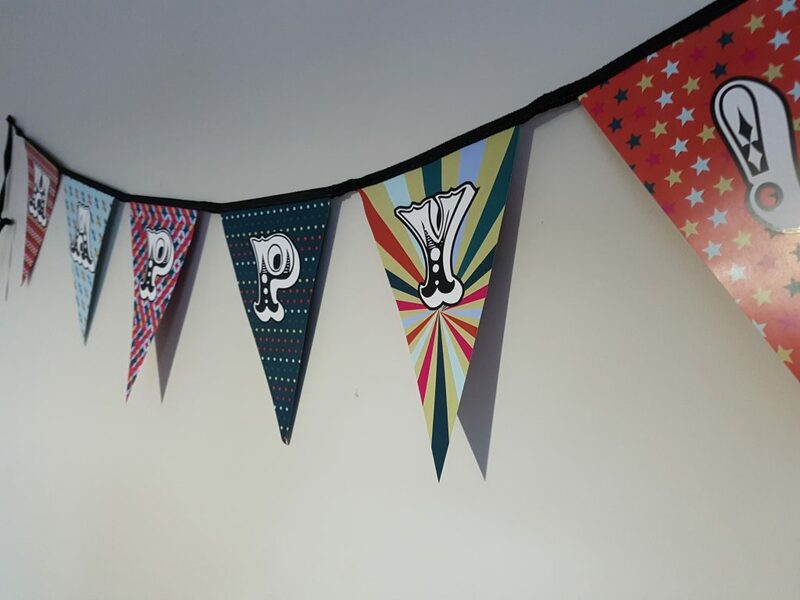 The happy Bunting was definitely my favourite addition this month. I love the bright, yet still somehow neutral, colours and the bunting itself is really good quality. It’s a great reminder to celebrate all the reasons to be happy and not focus on things that might bring you down. Another hit was the necklace. 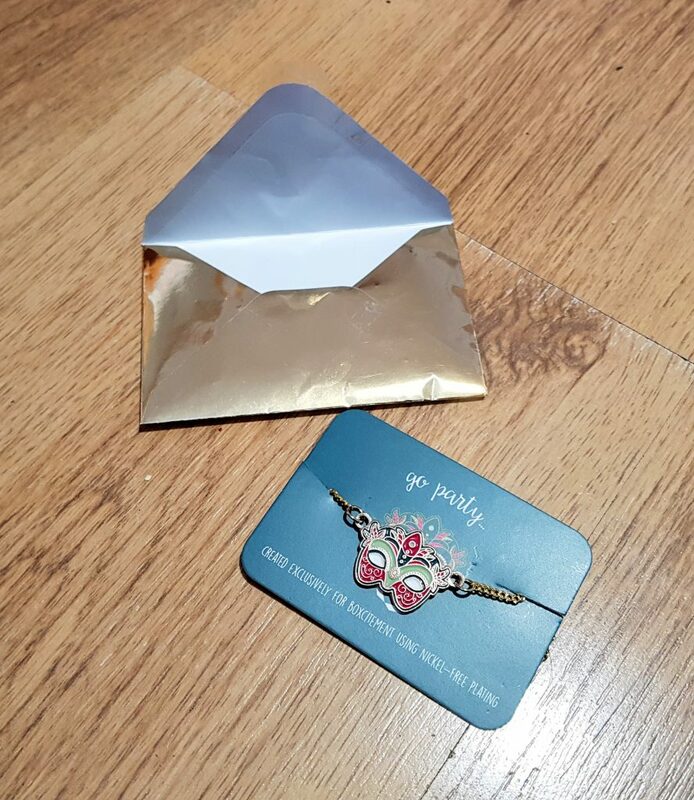 I really loved the necklace and how this was presented – in a lovely mini golden envelope, it felt like opening an exclusive invite to a party. I’ve not had a chance to wear it yet, but I definitely will. 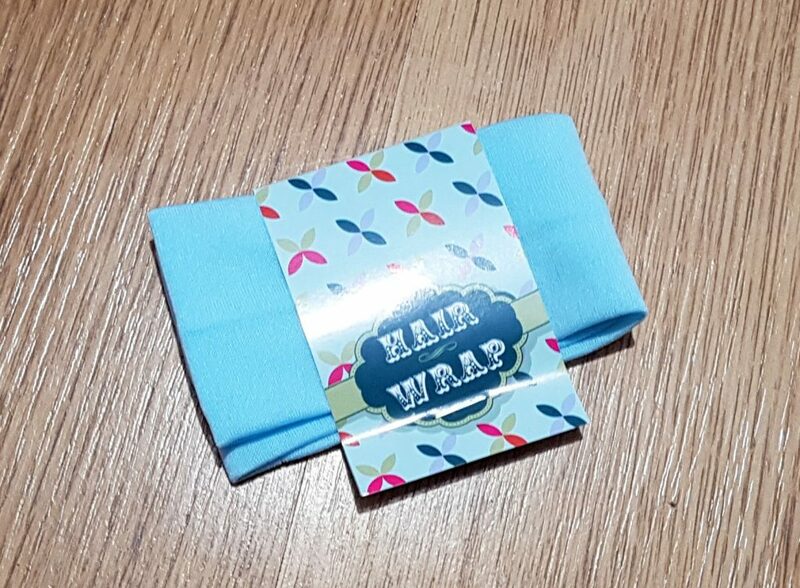 I was really struck by how useful the contents of the box were this month too; I’ve made use of the hair wrap and the socks already and they were great additions. 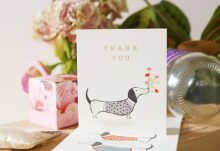 I was also bowled over by how fancy the print was in this months box. I was desperate to find a place for it in our house but sadly we just don’t have the space. 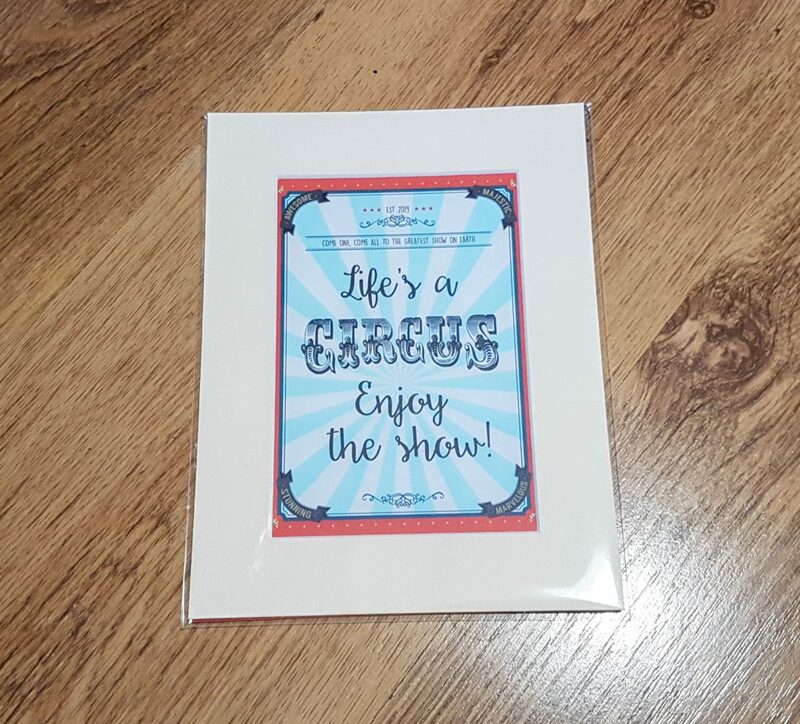 Fortunately I was able to pass it on to a friend whose daughter is a big fan of the Greatest Showman. She was beside herself when she received it. That’s one of the reasons I like the Boxcitement boxes, if you can’t find a place for one of the items, they make wonderful gifts. The only real downside I discovered was the quality of the socks. Whilst they felt lovely,soft and comfortable when I wore them, I discovered I had a hole very early on. It looks like this might have been caused when I removed the tag and it might have caught the material. Admittedly it’s not a huge issue it does mean I can’t really get much use out of them. This is the only time I have found the quality of a product to be below my expectations. 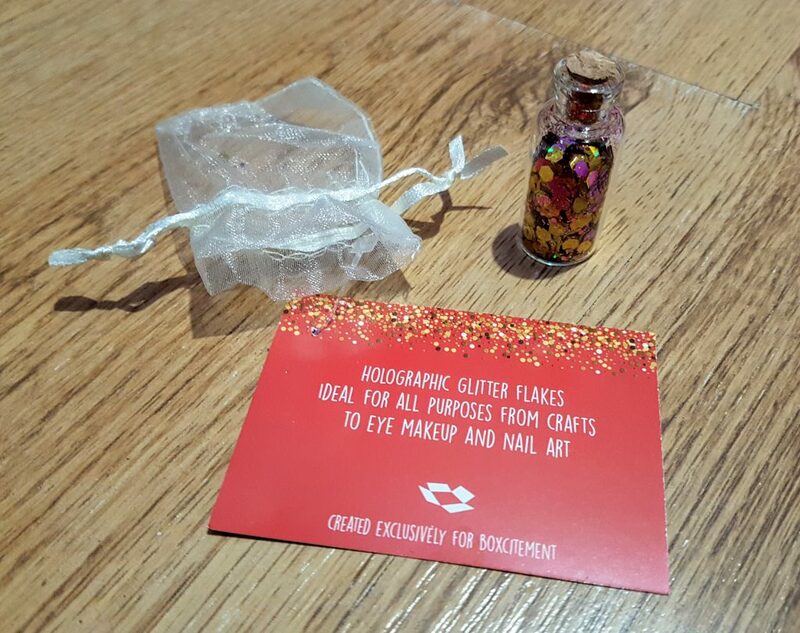 I was also not necessarily bowled over by the pot of glitter; It was very pretty and I can imagine some people getting a lot of use out of it, but it’s not really for me. Although I've scored this a little lower than previous months, I still love this box. The reason I've marked it down slightly is simply down to the fact that I got a hole in the socks the first time I wore them, and that I don't really have a use for the glitter. It's just that those little things; when you're making a subscription box for so many people you will get some hit and miss items. This month these were a bit of a miss for me, but I still think they the box is great. I love receiving mine every month, and I would recommend to others. How would you rate Boxcitement ?